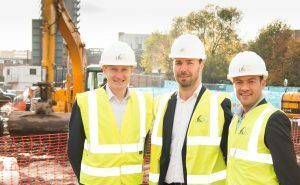 Social Communications has been appointed to deliver media relations for specialist land and built environment consultancy, The LK Group, following a competitive pitch. The LK Group, which operates on behalf of FTSE 250-listed housebuilders and public sector bodies, will use Sale-based Social to raise awareness of the business among its target audience and to secure new business introductions. The work will be led by account director Chris Walker and account manager Tim Niblock, and comes after the agency recently opened new offices in London and Leeds. Conor Leyden, director at the LK Group, said: “We’re very much looking forward to benefitting from the local and national connectivity that Social Communications has to offer. John Quinton-Barber, MD of Social Communications, added: “As a business Social Communications is focussed on helping organisations to achieve their aims by delivering high-quality communications.